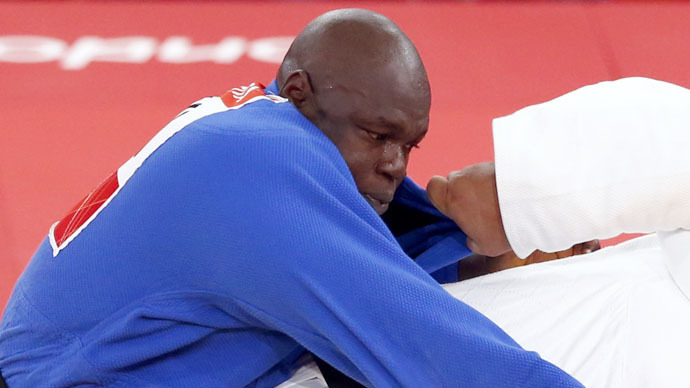 Keit, 31, disappeared from the Olympic village after he lost his judo bout within 5 minutes to his opponent Ricardo Blas Jr, from Guam, in the Men's 100+ kg judo category on August 3, 2012. His UK visa ran out a few months later in November. Keit handed himself in to authorities instead of returning home to Guinea, where he has been called a “disgrace” to the country. He spent 15 months in UK immigration detention centers before being released. He then volunteered for an asylum seeker charity and coached judo in Stoke-on-Trent, Staffordshire, where he has been living since March 2014. He is now facing deportation after filing his third application for asylum after his initial two bids and an appeal were refused. He said his wife had left him while he was in the UK because she couldn’t wait for him. An independent immigration judge ruled that Keit does not qualify for asylum, as he does not need protection from the UK government. A Home Office spokesman said: “The UK has a proud history of granting asylum to those who need our protection and we consider every claim on its individual merits.